Ever heard of a “diamond” intersection? Well, drivers are in for a completely new driving experience with the development of the new Grand Prairie Parkway interchange along Interstate-80 in Waukee. So what is a “diamond” intersection exactly? This new kind of intersection is called a diverging diamond and first appeared in 2010. There are only 57 diverging diamond interchanges in the U.S., with three being in Kansas City. When the light changes, traffic crosses onto what is traditionally known as oncoming lanes. Drivers can turn left on the onramp or continue straight to be diverted back to the southbound side of the road. The biggest advance is that those turning onto the highway don’t have to stop at a second signal. 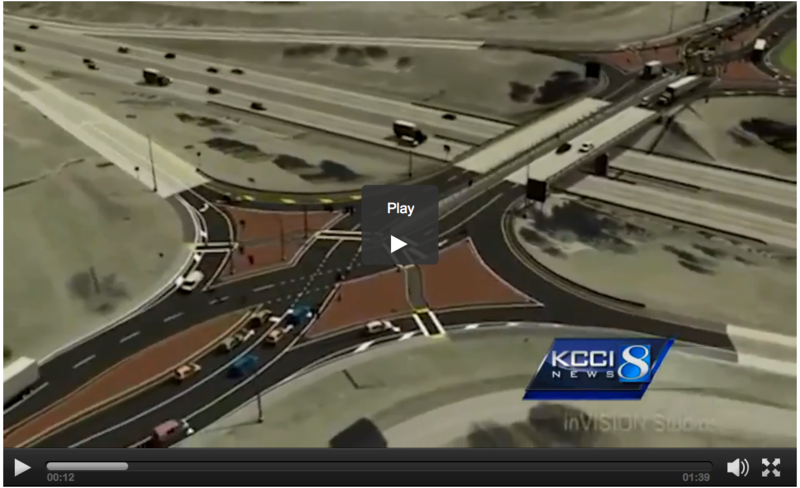 What do you think of this new “diamond” intersection and will it improve traffic?